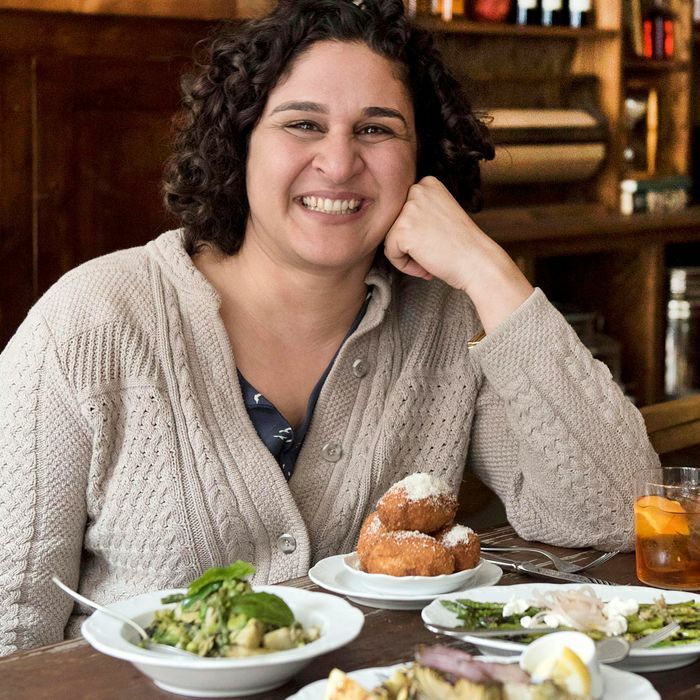 Samin Nosrat has a lot of reasons to be excited right now. Netflix is making more room at its table for food TV. The streaming giant announced that the New York Times best seller and James Beard Award–winning Salt, Fat, Acid, Heat will be turned into a four-part mini-series. Debuting on October 19, the culinary travel show will have chef and author Samin Nosrat explore cooking and dishes in Japan, Italy, Mexico, and at her old stomping grounds Chez Panisse, where she once worked. Nosrat — who taught Michael Pollan to cook — celebrated in an Instagram post, in which she says that she’s been working on the show for nearly two years. I AM ELATED TO ANNOUNCE: the @saltfatacidheat docuseries is coming to @netflix this October! We’ve been hard at work on it for almost 2 years, and so so so so very soon you’ll be able to watch and learn all about the four elements of good cooking! I’ll be sharing bits of behind the scenes magic in the coming weeks so stay tuned! The news was shared at the TCA Summer Press Tour, where Netflix also announced another new show, The Curious Creations of Christine McConnell, and the return of Chef’s Table on September 28.